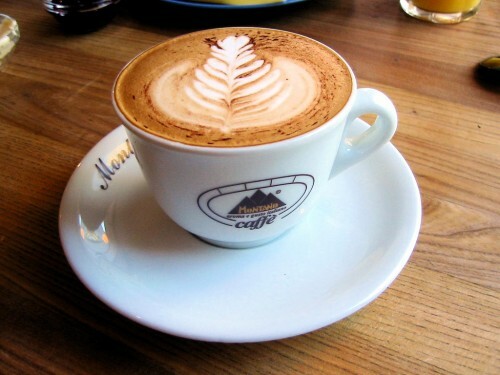 To sip a cappuccino after lunch is a direct and major violation of an Italian Food Rule. Italians believe the fresh whole milk that makes up over half of the contents of this drink plays havoc with digestion. To order a cappuccino after 10am, unless you are breakfasting after said hour, is seen as suspect behavior worthy of at least a slight frown, advancing to a worried shake of the head, and can escalate to outright ridicule. Francesca, my guide to all of the pitfalls that lead to violations of Italian Food Rules, once had a hilarious exchange with a waiter after two German tourists at a nearby table unwittingly ordered cappuccini after dinner. Scornfully, she wondered if they were going to order breakfast for dessert. 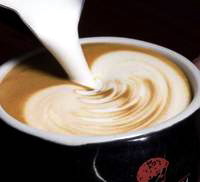 In reality, the popular coffee, topped with foamed milk, dates back to the early 20th century, but the name wasn’t associated with the beverage until just before 1950. Some say that cappuccino is best in the morning because the milk has lactose (a sugar) and the body absorbs the lactose and milk fat quickly, so the carbohydrate energy is available immediately before the caffeine stimulant kicks in. 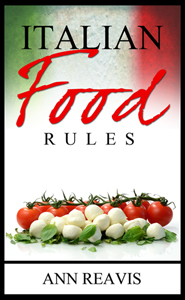 The real reason behind the Food Rule, however, is that Italians are firmly convinced that drinking milk after any meal will mess up the ability to digest food properly. So having a cappuccino at any time after lunch, or after dinner, in Italy is unthinkable. With those beautiful photos…. you have flung a cravin’ on me. Thanks, Ann! I have lived in Florence for most of the last 35 years and my Italian is near fluent even if I have maintained my cute (I hope) little American accent. Things have reached a pass…alas…where if I find myself eating in a Florentine restaurant where I am not known (which, admittedly, happens once in a blue moon) I am almost invariably offered a capuccino after the meal. And I invariably reply, “Meglio un espresso molto ristretto, grazie” (which is just me acting like a fool in order to prove a point, since I actually prefer “espresso normale”.) Having said that, I have often noted that ordering a capuccino after 10am (like many things that foreigners do in Italy) is a horrendous crime against civilization UNLESS IT IS AN ITALIAN WHO DOES IT!!! Cases in point: Florentines will drink capuccino, quite happily, with a pezzo dolce or even a pezzo salato up until around noon for their “second breakfast”, but also in the afternoon with their merenda or filling in for a missed lunch (which happens more often these days than I would ever have imagined possible.) Even after dinner, I have seen-only rarely it is true, but still…-Italians (even in the south) ask for a goccina di latte in their coffee “to settle the stomach”. Of course, if an American at the next table asked for the same thing, he or she would either get the kind of overly bright smile that is usually saved for an idiot child, or else, an offer of a bowl of cornflakes. Grazie for the long comment. All of what you say is so true. BUT that doesn’t negate the truth that No Cappuccino After 10am is an Italian Food Rule (even if they violate it). I enjoyed visiting your SecretPlacesItaly web site, BTW. Nice idea. Looks quite hard, but I am going to try it! I’m Italian and I agree with what Edward Goldberg wrote, the cappuccino rule is constantly violated. I for one don’t drink espresso (which is a violation per se in southern Italy), and I find myself ordering cappuccinos at any time if sitting with others at the table as they have caffè, and I’ve never received weird stares from waiters. One thing I’d never do, though, is to drink cappuccino right after a full meal: In that case, although espresso would be preferable, some good alternatives are limoncello or grappa liquors. Speaking of “caffè con un goccino di latte” (i.e. 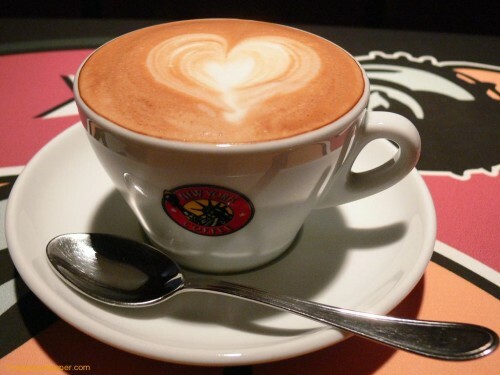 coffee with a ‘small drop’ of milk), that must be defined as “caffè macchiato” (i.e. ‘stained’ coffe) and it doesn’t follow the cappuccino rule. I’m always amused when travelers behave as though they have to *become* their hosts in another country. I see sites and read books where people say “If you order this or do that, it’s a dead giveaway that you’re a foreigner.” Well, yes, I *am* a foreigner. It’s not a dirty word. Now, becoming an “ugly American” while abroad would reflect a lack of respect and simply being a bad guest in another’s country–but I hardly think the way one takes one’s coffee should create an international incident. If we pretend to be of a culture that we’re not, we can only end up looking foolish or like a silly poser. For Francesca to sit in judgment of what someone else orders to drink makes her sound rather petty and childish, to be honest. It far exceeds the level of rudeness that a late-day cappuccino would represent. I’m fortunate that my Italian relatives don’t ever expect me to be anyone other than myself, and I return the favor. They appreciate what makes us different, and I feel the same (you know, except for the second-hand smoke at the dinner table–and I’m not going to take up smoking just because I’m in Italy, either. ;-)). I also note that they don’t for one second change who they are when they come to visit me–sometimes doing far worse than ordering a taboo beverage. When Italian visitors to my city (New York) decide to start letting people get off of elevators and trains before piling in (as they are wont to do at home in Italy), every man for himself, then maybe I’ll adjust the timing of my cappuccino when visiting ‘the boot’. But until then, I don’t think I’ll let the minutiae of life get in the way of connecting with people in an authentic, rather than a contrived way. If someone avoids me because of the timing of my cappuccino, I doubt I would have enjoyed getting to know someone deeply concerned with such frivolities, anyway. At best, I think travel is an exchange between people. If you try too hard to change and become something you’re not, then what will you have to offer them that is unique? It will be an uneven exchange, with you getting something novel and interesting, and them getting a rather poor copy of themselves. Be polite and inquisitive, always, but certainly you should also be yourself. My two cents–and despite how it may sound, I love Italy and Italians, and do abide by some Italian food rules, even when at home in the States. Thanks for the post. The photos are tempting–it’s after 2pm, and I think I just might need to make myself a cappuccino after seeing them. Enjoy your cappuccino Blanche (hope it isn’t followed by a tummy-ache) and thanks for the extensive comment (knowing Francesca, I am sure she would agree with you about the “Italian queuing” (or lack there of) behavior of her compatriots). I am finding these articles very interesting. But some pf these rules seem a little militant – If I want to eat pizza on my own for lunch with a cappucino then I will. I shake my head at any Italian that would like to do the same but would not because it is not seen as the done thing. Great article! Not many people understand the immense difference between American coffee culture and the coffee culture in the rest of the world. Keep up the great work! Don’t they have science in Italy? Seems like a quick discussion with a gastroenterologist would lay this silly “food rule” to rest. Well, I don’t know if this is true in other countries, but here in Brazil we think it’s really weird when we see in U.S. (or british) movies those meals with a big, fat, glass of milk on the side. Milk is for breakfast, the afternoon “lanche” or before bedtime. Milk is too thick, too greasy to follow a hearty meal, although we happily top everything with a lot of cheese all the time, go figure. I mean, maybe this is true for other countries, the concept that the main meals just don’t go with drinking milk. I am an American in Italy right now on an extended vacation and just arrived in Tuscany after 5 days in Venice. I will next be in Positano and then Rome. I pride myself on researching the “rules” of the countries I am visiting when traveling and trying to be a polite guest, learning customs, style and language before I leave to be prepared and not stick out. I tend to eat on the lighter side, so the rules that say you must order an antipasti, a primi, a secondi, a side and a dolci (or some combination of at least two courses) have been a bit difficult for me, but I am enjoying trying some delicious new meals. Personally, I enjoy a coffee with my dessert (if I am having it) or sometimes just a coffee after dinner as my dessert. On our last night in Venice, we went to a restaurant that is apparently a favorite of the locals. My husband and I split an antipasti (a caprese salad) and I ordered a primi for my main meal (spaghetti al nero de seppio), while he ordered a secondi (baccala with polenta). After dinner, I wanted a coffee and could not remember if the “rules” said to only have cappuccino in the morning or at night. All of the Italians in the cafes in the morning drank espresso as far as I could remember, so I (incorrectly) assumed that evening was the “ok” time to have cappuccino. As soon as I ordered, a local girl at a nearby table started hysterically laughing, very obviously (and loudly) making fun of me with her words and gestures to her friend and to the waiter (and no, I am not fat, was not wearing a fanny pack, an “I love NY” t-shirt, or clunky sneakers). I was absolutely mortified and felt like a huge fool. I drank my cappuccino in shame and it really ruined my night. When we left, I asked my husband if there was anything a person could come to America and order at an odd time of day and be ridiculed for it publicly by a stranger at another table and we couldn’t think of a single thing. I find it quite hypocritical that gelato is considered ok as a dessert, even after dinner, when it is made entirely of sugar, heavy cream and milk. God forbid though that you request a coffee with milk in it and you’re the laughing stock of Italy… interesting. What a terrible experience that was, but I’ll never make the same mistake again, so I guess I’ve learned my lesson. 1 point for the Italians. To be fair, that was the only rude encounter we have had so far. Everything else has been wonderful. I just wonder why anyone would care that much about what someone else is ordering to drink. IMHO, the most annoying tourists are those who try hard to behave more local than the locals themselves… So please, folks, relax! It might strike most Italians as strange to see someone have a cappuccino or a caffè latte after lunch or at any later time of the day – BUT: Do you feel like enjoying a Cappuccino?? So for heaven’s sake: do enjoy it! 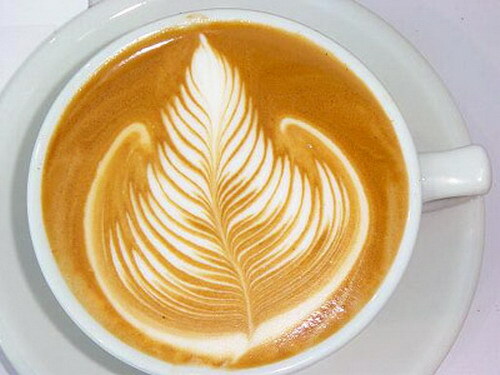 The cappuccino rule has no more relation to “health” as it has to taste. I’ve never heard of Italian waiters who disapprove of this request from foreigners because it’s “unhealthy”. It’s simply “gross” to drink cappuccino after lunch or dinner. Milk per se is not the probem. We just think that adding 400 calories or more to a full meal for a drink is crazy (so is drinking cold milk as a beverage, BTW). We would rather have dessert. As said above, people may have Cappuccino as a substitute for lunch, so having one after a meal is definitely weird to us. I’ll eat and drink what I like when I like. It’s all well and good having this rule, but is it really true that milk messes with your ability to digest other foods? If so, why? Cheese is clearly OK with them, including mozzarella, which still contains lactose. I can’t see a rational explanation for it, so frankly the joke is on the idiots making it. P.S. I have a cappuccino most mornings, and very rarely later in the day, however I have milk in tea, or a glass of milk if I feel like it, and it doesn’t cause any problems! I just have to chime in, only because it happens I just purchased a coffee machine that makes both espresso and cappuccino (I enjoy both). This is much ado about nothing. I don’t believe that drinking cappuccino after breakfast is an actual Italian “food rule”, probably more like a custom. Everybody is different and is unreasonable to expect foreigners to have the same taste or habits than locals. The bottom line is that one should eat or drink whenever and whatever they like or enjoy; in a similar vein, this also applies with wine: if you like an oaky Chard instead of a full bodied Cab with your steak, that’s your preference and business, you don’t have to adhere to the “rule” of red with meat, white with seafood. And if an snobby oenophile or server wants to snicker or do an eye roll , shame on them, it reflects more badly on them than on you. Life is too short (yes, have dessert first, that would shock them : ) to be concerned with such a lilliputian detail like the timing of a coffee drink or the right wine pairing. Cheers! An Italian laughed at you, and *you* are embarrassed?? In the U.S., we are taught that it is the height (or depth) of rudeness to laugh at another person. We have a goal of equality. We do not always attain it, that’s for sure, but we try to not consciously put other people down. And for what they eat at what time of day?? Puleez. I’m Italian and I’m a little bit shocked by the comments. I’m from northern Italy and I swear that I’ve never heard these rules about cappuccino until I started reading the internet. Well, we Italians don’t have cappuccino at the end of lunch and dinner as we consider it a meal, we like having and espresso coffee, or a caffè macchiato which is an espresso coffee with a very little milk to end a lunch. As far as I’m concerned, away from lunch I do have cappuccino at bar whenever I want e no one never had a laugh at me or gave me bad looks. I enter a bar in the afternoon, say in the 4pm, I ask a barman or a waiter/waitress a cappuccino and he/she writes the order without thinking anything bad. The same thing happened to me years ago when I was in the south.We were at a cafe and it was quite cold so I ordered a cappuccino and the waiter looked at me strangely and then my cousins and others laughed at me so loudly and hysterically that I just wanted to get up and walk away. I just think that they were incredibly rude and ignorant but I believe in Karma and hopefully someone has laughed at them like idiots! Cappuccino is for breakfast, period. Like porridge for brits or eggs-and-bacon for americans. Would you have eggs & bacon for dinner ? I don’t think so. And please, do NOT pour vinegar on mozzarella, that is a sacrilege.